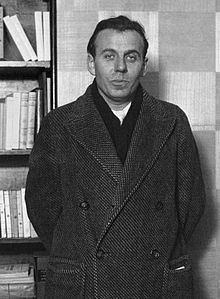 Louis-Ferdinand Céline (1894-1961) is as famous for his modernist roman-fleuves [novel-sequence] that revolutionized French literature and made him one of the greatest stylists of all times, as much as he is infamous for the anti-Semitic pamphlets he published before and during the Nazi Occupation of France. However, these two aspects of his literary production do not necessarily overlap. Céline’s two-volume third novel Guignol’s Band I et II, set in London, was written between 1940 and 1947 (concurrently with his last pamphlet Les Beaux draps [The Fine Mess] published in 1941), first in occupied Paris and then in Denmark where he went into exile after the war. The first volume, Guignol’s Band I, breaks from occupied Paris to relate events taking place in early World War One London where Céline spent twelve carefree months between May 1915 and May 1916, working as a clerk at the French Consulate after having been injured on the front. It was published in 1944 and was translated into English by Bernard Frechtman and Jack Nile in 1954 (their translation is still the one used today by the Alma Classics edition). The second volume, Guignol’s Band II, only appeared posthumously in 1964, three years after Céline’s death. His former secretary supposedly discovered in a cupboard three versions of a manuscript, which picked up where Guignol’s Band I left off. The text was subtitled Le Pont de Londres [London Bridge] and this became, and still is, the title under which the English translation by Dominic di Bernardi was published in 1995. In proximity to the London-based French underworld, Céline’s semi auto-fictional protagonist, Ferdinand, roams the streets of the city through the two volumes where he encounters numerous burlesque characters and tries to escape both from the police and members of the ‘milieu’ (mafia). The time delay separating narration and narrative (thirty years apart) sets up a double time sequence that is sustained throughout the novel. The sequence emphasizes the novel’s temporal layering, the merging of fiction and reality, and the role played by memory. London is perceived through a nostalgic lens as an enchanting place of freedom, encounters and adventures. This deliberate narrative time sequence also permits the narrator to comment on the evolution of the London landscape (from 1915 to the 1940s), and to make a very unusual use of the historical and enunciative present tenses, indifferently slipping between one and the other to the point of blurring temporal and fictional boundaries. Thus, the text contains an auto-fictional palimpsest (the life of Louis-Ferdinand underlying the experiences of his protagonist Ferdinand), a narrative palimpsest (the temporal and historical ubiquity of the narrator), and an urban palimpsest (represented in the coexistence of different states of London). While it took Céline over thirty years to finally recount his London adventures, we know that he initially planned to integrate them into his first novel, Voyage au bout de la nuit [Journey to the End of the Night], published in 1932. What ultimately became a seven-hundred-page long novel, despite being described by Céline in a letter from 1930 as ‘une petite halte anglaise, pour la rigolade et l’oubli’ [‘a little English break, for the sake of laughter and oblivion’, my translation], was supposed to figure in Voyage before the protagonist’s departure for Africa, in order to follow the chronological order of Céline’s own experiences. Judging this ‘little break’ too light-hearted to fit in Voyage, Céline finally decided to delay its inclusion. As a result, characters from Voyage, and also from Mort à Crédit [Death on Credit] (which Céline wrote after Voyage, in 1936), feature in Guignol’s Band, together with his experience of the front in World War One which is related in Voyage but which is also supposed to have taken place just before the London trip. Guignol’s Band therefore operates as a hypertext of Voyages au bout de la nuit and Mort à Crédit, if we are to use the categories developed by Gérard Genette in Palimpsests: Literature in the Second Degree. Genette defines hypertexuality as ‘any relationship uniting a text B (which I call hypertext) to an earlier text A (I shall, of course, call it the hypotext), upon which it is grafted in a manner that is not that of commentary’. Another layering effect is found in Guignol’s Band use of English. While the novel is written in French, occasional (often incorrect) English is regularly used by both English and French characters, as well as by the narrator, along with quotations ranging from popular songs of the time to Macbeth. When English is used, it is usually accompanied by a translation of some sort which summarizes, paraphrases or gives a literal equivalent. The text is therefore a site of rewriting and bears the traces of previous, variously mediated, versions. In representing different historical stages of London, exploring the layers of its topography and demography, retracing his own steps and superimposing realistic and imaginary representations of the city, the narrator of Guignol’s Band creates an urban palimpsest of London. Shaped by an intertextual, linguistic, hypertextual and historical web of overlaps and traces, his London is also a cultural palimpsest. The double time sequence of the narrative structure, semi-autobiographic ‘je’ and metanarrative dimension of London’s descriptions finally add a literary reflexive layering to the city’s construction. All the palimpsestic effects found in Guignol’s Band have one thing in common: the novel’s setting in London. The city (any city) is, and has been since Baudelaire’s Parisian flâneur and the beginnings of modernity, the site of wandering per se. Through the diverse ways in which London is represented in Guignol’s Band I and II, one can argue that writing London and following his character wandering around the streets enables Céline to disclose the fundamental modernist wandering and multiple palimpsestic qualities of words, language, narrative and literature themselves in a new cosmopolitan context, that is also palimpsestic in itself. In combining all these different textual layers, Céline’s representation of London therefore embodies the fundamental errant and differing texture of modernist literature. It is a vivid example both of what Jacques Derrida, in Acts of Literature, identifies as that ‘literary writing in the modern period’ which provides ‘a privileged guiding thread for access to the general structure of textuality’, and of the construct of the city and the work of memory. As such, it also illustrates the inherently modernist interplay between literature and the city. This article has been adapted dapted from Claire Lozier, ‘Writing the City: London as Urban Palimpsest in Louis-Ferdinand Céline’s Guignol’s Band I & II’, Mutating Cities: Palimpsestic Traces in the Urban Context, Journal of Romance Studies, volume 14, number 3, Winter 2014, pp. 23–36. Claire Lozier is Lecturer in French at the University of Leeds. She is the author of a book entitled De l’abject et du sublime. Georges Bataille, Jean Genet, Samuel Beckett (Oxford : Peter Lang, 2012), and of various articles and book chapters dedicated to different aspects of the work of these three authors. She also published articles on Louis-Ferdinand Céline and on contemporary French cinema. Céline, Louis-Ferdinand (1989) Guignol’s Band I et II (Paris: Gallimard). Céline, Louis-Ferdinand (2012) Guignol’s Band, trans. Bernard Frechtman and Jack Nile (London: Alma Classics). Céline, Louis-Ferdinand (2012) London Bridge, trans. Dominic Di Bernardi (London: Alma Classics). Derrida, Jacques (1991) Acts of Literature, ed. Derek Attridge (London and New York: Routledge). Genette, Gérard (1997) Palimpsests. Literature in the Second Degree, trans. Channa Newman and Claude Doubinsky (Lincoln: University of Nebraska Press). Godard, Henri (2012) ‘Guignol’s Band, l’invention du présent du narrateur’, Le Magazine littéraire, Nouveaux regards, Louis-Ferdinand Céline, 171–80. Huyssen, Andreas (2003) Present Pasts: Urban Palimpsests and the Politics of Memory (Stanford University Press, California). Launchbury, Claire and Cara Levey, eds. (2014), ‘Introduction’, Mutating Cities: Palimpsestic Traces in the Urban Context, Journal of Romance Studies, volume 14, number 3, Winter 2014, 1–4.